Veronica Etro says Spring '19s 'Pacific Zen' collection is inspired by the skate and surfing scene of California, as well as the free spirit of Hawaii. 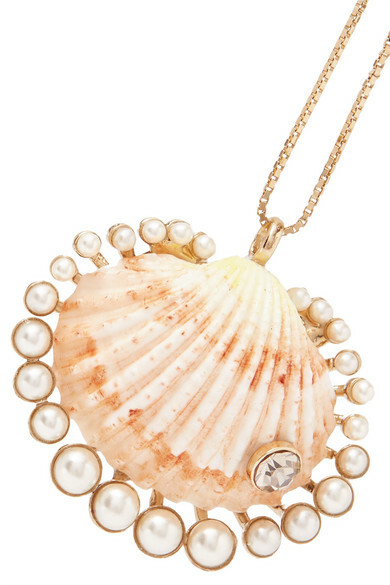 This necklace is cast from gold-tone brass and strung with a shell pendant - a key motif this summer. 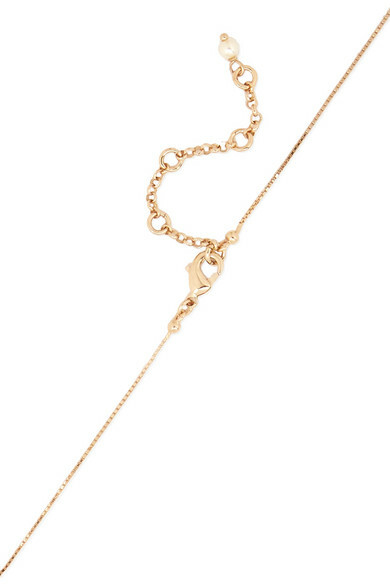 It's framed with lustrous faux pearls and topped with a single light-catching crystal. Shown here with: Etro Blouse, Missoni Coverup.